My journey through the virtual world: The Beginning of it all! 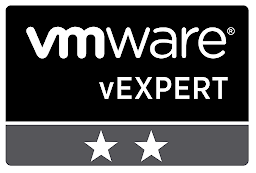 My passion for VMware and the whole virtualization thing began while working for a healthcare hosting Information Technology (IT) company in Englewood, CO. Since we hosted our client's healthcare applications, mainly on windows, VMware was the preferred virtualization platform in our ecosystem. There I served as an Environment Manager (EM). Environment Manager? what is that? I'm glad you asked, an EM was sort of like a Technical Account Manager (TAM). Any change to the environment requested by someone in-house, (Client facing person) or the client (Customer) would be vetted by the EM and presented in the daily Change Approval Board (CAB). In this role, is where I was exposed to a lot of the theory behind of what makes the environment I was managing, go. This place didn't mess around, each customer had their own Development, Test, Pre-Production (a.k.a DR), and Production instances. Every time a change was introduced, it was deployed to the lower environments, vetted out then eventually promoted to Production. I remember each environment having their own SQL database, Web, and Application servers. All Virtual Machines (VM) running on VMware's hypervisor, my interest was enticed. Now as a Business Analyst in my new role, I encountered the VMware stack once again. I felt like the universe was trying to tell me something…. nah, I don't believe in that (another story for another time). But seriously, during my tenure as an EM for the healthcare hosting company. My technical aptitude increased, but there was still something missing. I felt an inclination to put my what I learned to practice. So, I purchased enterprise level hardware from eBay, and began searching the interwebz for information that would help increase my practical knowledge. Now that you know the origins of my VMware fandom. I will explain how I got into the #vCommunity and connected with excellent people, while ignoring my natural tendency to keep everything close to the chest (Inside joke), to helping my local VMUG. What are crazy 2018 I've been having thus far, and am excited to future endeavors. Thanks for reading Rod. I have more topics to write about, just need to put my thoughts together.